War is never easy. It is easier to ignore what is going on when we can go about our lives on the other side of the world, but when we are in the west and hearts are in the east, war is impossible to ignore. Operation Protective Edge, the IDF’s current operation against Hamas in Gaza, began a ground invasion only days ago, following aerial attacks of Hamas terrorists and rocket launching sites for an extended period of time. War is not the ideal. Peace is what we always strive for, no matter what. We aren’t just told to love peace. We must pursue it, like the disciples of Aaron, to Ohev Shalom v’Rodef Shalom. Yet, war, even when it causes our stomachs to turn is sometimes necessary and often inevitable. That is the situation that we find ourselves in. A Palestinian people in Gaza, truly being held hostage by Hamas and its terrorist regime that is committed to the destruction of the state of Israel. The Israeli government has stressed “Israel uses missiles to protect its civilians and Hamas is using civilians to protect its missiles.” That is true. Still, it is clear is that there have been an abundance of civilian casualties. They are inevitable when Hamas shoots rockets out of apartment buildings, school playgrounds, and hospitals. That doesn’t mean that we don’t mourn. That doesn’t mean that our hearts also do not break for the innocent Palestinians that are also caught in the crosshairs of this war with Hamas. Everyone among you and among those who are captive who has slain a person shall purify himself. This doesn’t just have to do with becoming impure by touching a corpse, makes a clear distinction between touching a corpse and slaying another human being. What the Torah is telling us is that killing another, even in a time of war, is impure. Even when it is necessary, it causes us to be impure. Sometimes, it causes the worse to come out of us. It causes radicals to burn a Palestinian boy alive because terrorists kidnapped and murdered three Israeli teens. It causes children in Sderot, who for years have had recess in their bomb shelter-converted playgrounds, to cheer as they see missiles landing in Gaza from the IDF in the distance. Eleazar the Priest instructs, like with any spiritual impurity found in the Torah, that those who have slain an individual need to remove themselves from the encampment. We do this to start over. We do this to repurify. Regardless of ethics, morals, values, justice, when we kill another, even when it is justified, we must repurify ourselves. 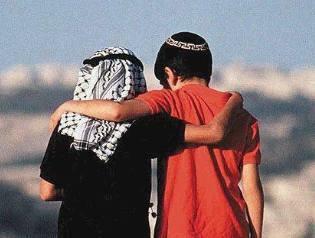 Maimonides taught that “Great is Peace. The whole Torah was given in order to promote peace.” How do we promote peace when we are consumed by war? We ignite the darkness of war by promoting peace. We stand with Israel, and as Israel continues to defend herself from Hamas, and terrorism, may she do all in her power to defend and protect all innocent civilians, Israelis and Palestinians, whose lives are threatened as a result of the cowardly actions of Hamas. And we strive to purify ourselves. We find light in the darkness of war, in the darkness of reality. At a time of darkness, we search for light. And where there is no light, we create that light. We become that light. Just as we are commanded to be an ohr lagoyim, a light unto the nations, we strive to be that light. We light that light. Let the light purify us from the darkness of war. Let such light shine upon us, to renew ourselves as well. Let the light allow us to see the possibility of peace in the distance, even when it seems impossible. 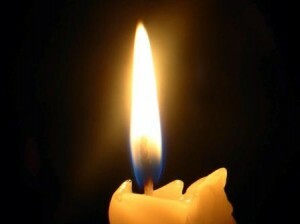 And let the light protect all innocent civilians, Israelis and Palestinians, from the terrorism of Hamas, from the darkness, until that peace is achieved. Amen. I began my first day at Congregation Beth El with a beautiful minyan. Today was a rare Tuesday morning when the Torah was read since today is also a fast day, the 17th of Tammuz. This minor fast commemorates the breaching of the walls of Jerusalem which eventually culminated in the destruction of the Second Temple. Today’s fast day thus also begins the three week mourning period between the 17th of Tammuz and Tisha B’Av, the day in which we mourn the destruction of the Temple. Today was also unique because it was the one day on the calendar in which Jews around the world and Muslims around the world were fasting at the same time. The fast of the 17th of Tammuz fell during the Muslim celebration of Ramadan, which includes sunrise-to-sunset fasts daily throughout the month. While the fast of Sheva-Assar b’Tammuz and the fasting that takes place on Ramadan are for unique reasons, it is clear that fasting has been a common practice in Judaism and Islam for centuries. Jewish law codes list fasting as a common expression and ritual that shows proper intention before the Divine, in hopes that God will answer one’s requests and petitions. Fasting brings together community. Muslims feel this during Ramadan. Jews feel this on Yom Kippur. I came across an interesting hashtag on Twitter today, #FastForPeace. At a time when there is too much violence in Israel, when hundreds of rockets rain down on Israel from the Gaza Strip on a daily basis, when there are too many civilians dying in Gaza as Israel attempts to cripple the terrorist efforts of Hamas, we pray for peace. The cease-fire that was proposed by Egypt was accepted by Israel but rejected by Hamas. This has led to more rockets from Hamas and in turn, Netanyahu vows to exert ‘great force’ in Gaza. As the violence continues and our thoughts, minds, and hearts turn east, we fast for peace. We pray for peace. How pleasing it will be when we can all sit in unity as brothers (Psalm 133). As I explored this hashtag more, I realized that this was a cause of Jewish and Muslim friends, determined to be defined by that which unites us, not that which divides us. This is a noble effort by peers who believe that the voice of love and peace must be louder than the voice of hate and war. As the fast enters its last hours and my stomach grumbles, I have found this fast day to be quite meaningful. Truthfully, this fast has not been meaningful for me because I reflected on the breaching of the walls of Jerusalem some two thousand years ago. Rather, it has been meaningful, because it reminded me that even when it seems impossible, we must not give up on peace. We must unite in the belief that peace is possible and in the words of Pirkei Avot, we must not only love peace, we must pursue it. Let this fast day bring together our communities as one community. As we fast, let us fast for peace. Let our intentions be expressed and our petitions for peace be heard. As our stomachs turn from hunger and our throats remain parched, let us be satiated by a shared vision of peace and harmony. May there be peace in Israel, and in the world, and may we witness it soon. The following article was originally published on June 30, 2014, by Haaretz. It was written before the devastating news that our brothers Eyal, Gilad, and Naftali had been found murdered. It was written before the equally troubling news of the murder of Mohammed Abu Khdeir. Still, I believe that the #BringBackOurBoys campaign achieved something: it united us as a people, a people that regularly disagrees with each other. Let us be assured that they did not die in vain. Let us remain united as a community to end terrorism, hatred, violence, and bigotry. Let us remain united so that young boys and girls, regardless of faith or ethnicity, do not feel scared to go for a walk. Let us remain united in our commitment for peace. May the memories of Eyal, Naftali, Gilad, and Mohammed, be for a blessing and unite us and inspire us to do more and work harder to bring peace to this world. The full article can be found on their website here. I vividly remember as a child, tying yellow ribbons around the tree on my family’s front yard. During the Gulf War of the early 1900s, as a sign of pride and patriotism, Americans were encouraged to tie yellow ribbons to trees to “support our troops.” Ten years ago, the yellow ribbon appeared again, as American troops invaded Iraq and Afghanistan, to “bring our troops home.” At that time, the yellow ribbon image was appearing on bumper stickers and car magnets instead of trees. The ribbon was never about action. The ribbon did not cause political leaders to withdraw troops and bring an end to the military action. What ribbons did, though, was unite a nation and a people. Yellow ribbons raised awareness. For similar reasons, we wear ribbons on our labels to raise awareness for a cause or fight to end an illness or disease. Yet, we live in a virtual world. We live in a world centered on Internet connectivity over personal relationships. Facebook is more central to our relationships than face-to-face interactions. We communicate through texting and posting; we share news via tweets. Case in point: you are currently reading this Haaretz article on your computer screen, tablet or smartphone, instead of in print. In the world of social media and social networks, hashtags have taken the place of yellow ribbons. The hashtag unites us. The hashtag raises awareness. The hashtag identifies us with a particular issue or cause. As World Jewry is by now well aware, Israeli teenagers Eyal Yifrah, Gilad Shaar and Naftali Fraenkel were kidnapped on June 12 by Hamas operatives while returning home from the Gush Etzion Yeshiva where they study. Following the viral success of #BringBackOurGirls that was launched two months ago when over 200 Nigerian girls were kidnapped by Boko Haram terrorists, the #BringBackOurBoys campaign was launched to raise awareness of the kidnapping of Eyal, Gilad and Naftali. The Israel Defense Forces Twitter feed helped spread the hashtag and political leaders in Israel, the United States, and throughout the world have joined in, tweeting the hashtag. The analytics website hashtags.org has confirmed that #BringBackOurBoys has gone viral. Some in the Jewish community are concerned that such a hashtag is meaningless. Others have been bashed for using it to push their own agendas. I, however, see the hashtag as unifying. 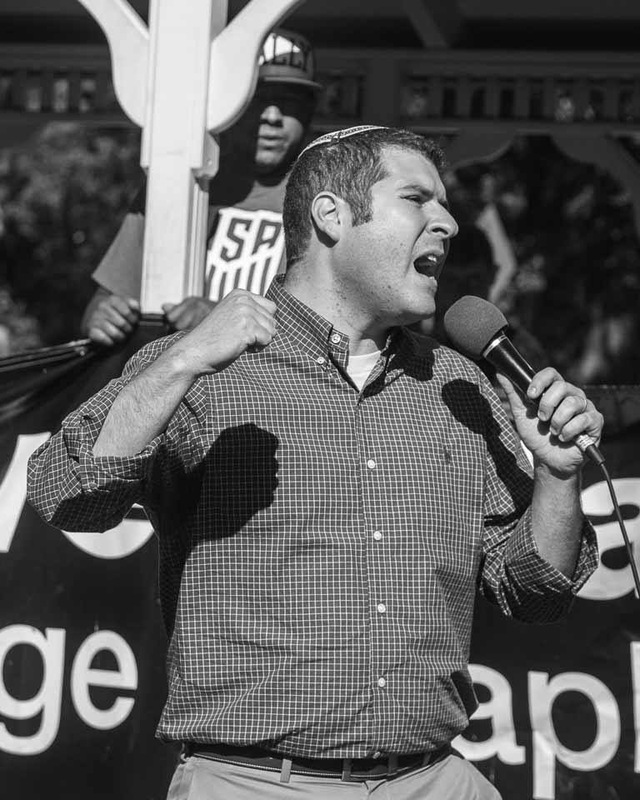 As a look at my Twitter feed, I see a diverse spectrum of members of the Jewish community acknowledging on social media that their thoughts and prayers are that Eyal Yifrah, Gilad Shaar, and Naftali Fraenkel will return home safely – Reform, Conservative, Orthodox and Reconstructionist; religious and secular; progressive liberals and right-wing traditionalists; supporters of AIPAC, supporters of J-Street and those who support neither. Regardless of one’s views on peace, on settlement construction, on Israel giving up land, on Abbas’ or Netanyahu’s true willingness and desire to work toward peace, the Jewish community is unified in hashtag activism. 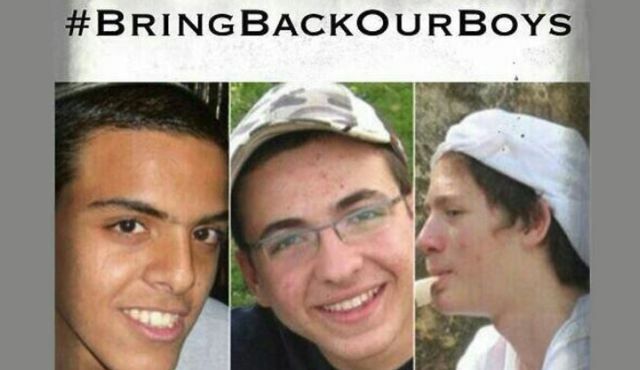 The Jewish community is unified in its commitment to #BringBackOurBoys. It is true that, like yellow ribbons, hashtags do not solve anything. Hashtags do not lead to military operations. Hashtags do not lead to world leaders putting pressure on Hamas, or the Palestinian Authority for that matter. Hashtags do not lead to saving our boys. Hashtags do not lead to action. However, as a more important first step, hashtags raise awareness and ultimately unite us as a people. #BringBackOurBoys reminds us that despite our disagreements and differences, our hopes and prayers are the same. We are ultimately still “am echad im lev echad,” one people with one heart. Let us embrace our disagreements because disagreement is a part of rabbinic tradition. More importantly though, that us unite and raise awareness. Let us remember that regardless of one’s observance or political beliefs, we each deserve to live our lives without fear. We each deserve to live in safety. May we continue to raise awareness, and may awareness lead to action.